From time of planting to harvesting a 6ft tree can take up to 8 years! 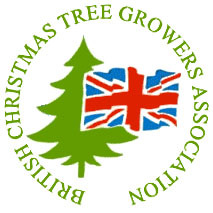 Our sustainable trees are grown to the British Christmas Tree Growers Association's (BCTGA) code of practice. 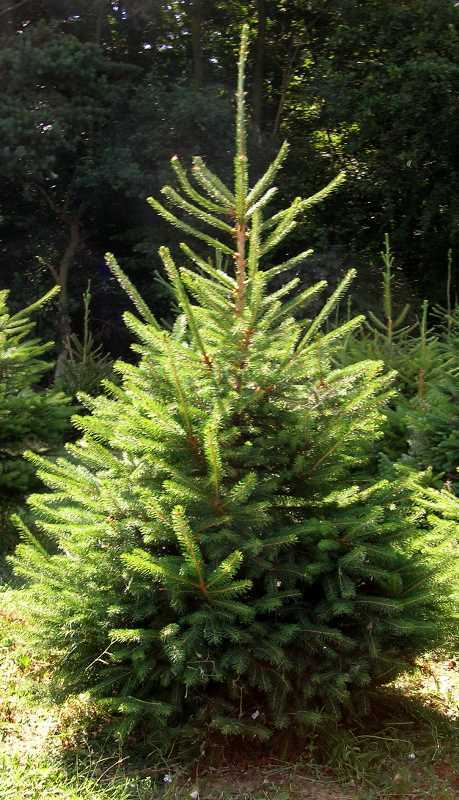 Our farm grown Christmas trees are cultivated on our 12 acre plantation in Hertfordshire. 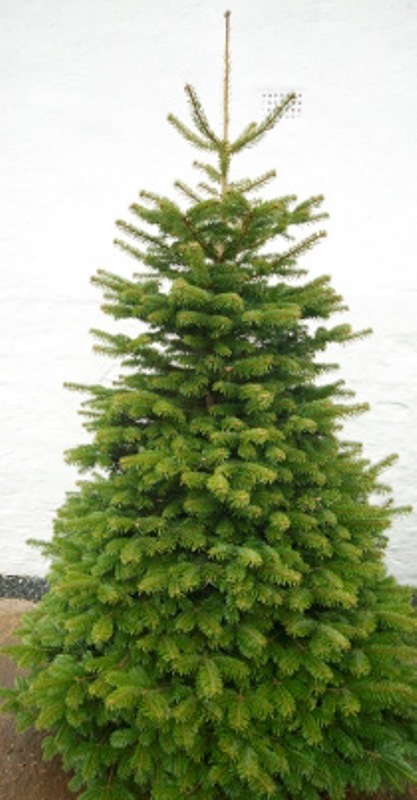 We supply sustainable Norway Spruce and Nordmann Fir trees starting at a height of 3ft upwards. 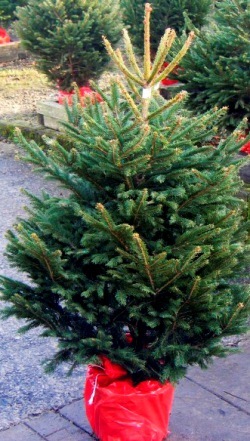 Our potted trees are sold at a height of 3ft to 5ft, including pot. All our trees are netted for easy transportation. The tree should be kept cool and in a water holding stand. 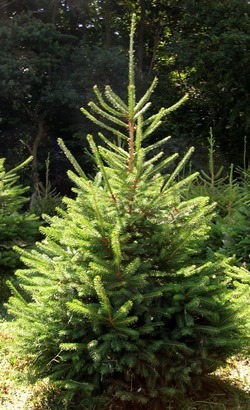 Nordmann Fir (Abies nordmanniana) is a fir native to the mountains west and east of the Black Sea, in Turkey, Georgia, Russian Caucasus and northern parts of Armenia. If the tree is kept in a water holding stand it will last right through the festive season. 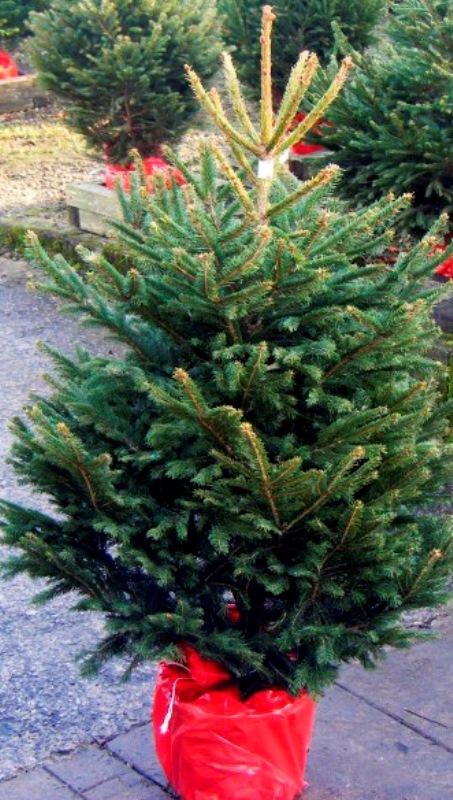 Potted trees come in two varieties, Norway Spruce and Nordmann Fir. The trees range from 3ft to 5ft, including pot. 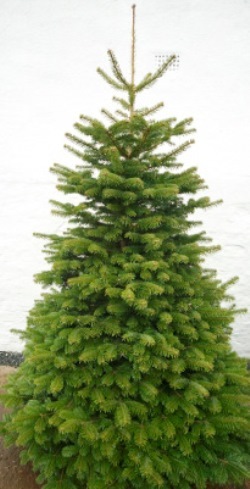 Potted trees are ideal for small spaces; in a flat, by the front door or simply as a second tree.